GAMSAT – All You Need To Know About It! 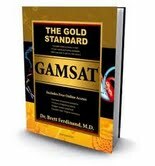 GAMSAT is an entrance exam for those looking forward to make a career in the medical field. This exam is held on an yearly basis in countries like UK, Australia and Ireland. This exam is considered to be the most difficult one and ACER conducts this exam to ensure that only the best candidates are given the opportunity to study medicine. The main aim of this exam is to test the problem solving techniques and the reasoning ability of the candidates. Any student holding any major is applicable for this exam. There is no planned syllabus for this exam and the questions asked are not complex and it is important that the questions are answered on time. Humanities and Social Science: The portion for this section is not defined and you may have to answer a question from any chapter. Students who are from Arts background usually find this section easy and tend to score more marks. Engineering students also prefer this section as it has question based on Humanities, Social Science and general knowledge. Biology and Physical Sciences: Only for this section the syllabus is defined to a certain extent. Biology and Chemistry is usually taken from the 1 year University syllabus and Physics mainly constitutes of the 12th class portion. It is advisable to focus more on biology and organic chemistry and major questions are from this section and very few would be from Physics. Des O’Neils study material; i.e. the guides and materials of Des O’Neils are the most preferred study materials by the candidates. The sample question papers drafted by Des O’Neil help students the maximum and are very similar to the questions asked in GAMSAT. It is also said that the questions get repeated each year. Ozimed tests are conducted to see if the candidate has the ability to appear for GAMSAT. The questions imposed during these ozimed tests are very similar to those listed in GAMSAT. It also helps students to practice for students and enhances their analysing and reasoning skills. Medired: This is also helpful for those students who aren’t from the science background. It gives them an general overview of the science concepts and in comparison to other study materials this is expensive. Thus, GAMSAT though difficult is a much preferred exam by many. You need to have a proper structure and planning if you wish to appear for this exam. With proper guidance and coaching, many students have cleared GAMSAT very easily. Therefore, you need to understand that medical field demands the best of you and if you aspire to be a doctor one day them your struggle for it begins with GAMSAT. GAMSAT ensures that only the best of the lot become the future medical professionals. Writer has been in educational field for 15 years. He has served as a lecturer and now runs a coaching centre for competitive exams.